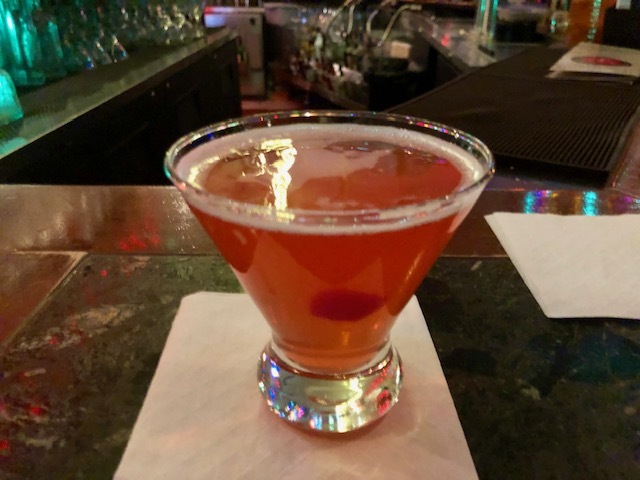 If I had to give my five favorite spots in NYC, the Russian Vodka Room would definitely make it onto that list. 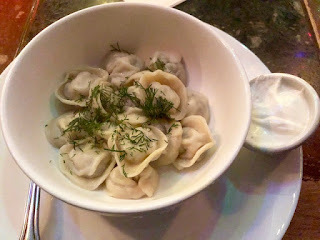 This place has absolutely everything I love; strong, delicious cocktails, a dark kitschy decor, nightly piano players and some of the heartiest food in the city, like this big bowl of Russian dumplings. These little uneven pockets of pasta (pelmini) come stuffed with a choice of beef, lamb, cheese or potato alongside a big bowl of sour cream and a heavy sprinkle of dill. This is 'stick to your ribs' kind of comfort food, made even better with one of their house infused vodkas. As if all of this wasn't great enough on its own, the Russian Vodka Room also has one of the best happy hours in NYC with $5 infused shots of vodka and $8 martinis from 4:00-7:00 every day. It's almost impossible to leave this place without a big happy smile.